Upon entering the inviting double doors of the airport in preparation for your travels, the terminal lighting is probably the last thing on your mind. However, it’s this very subject that creates both the safety and ease of your pleasant transition from the ground to the skies. Spanning the sheer length and breadth of an airport terminal, expertly planned and crafted lighting can be found illuminating corridors, creating mood in luxury lounges and of course, bringing the runways to life. Installing lighting on such a mammoth scale is an operation which requires great skill and precision, and over the years we have seen both extraordinary innovations and terrible failures in this area. One of the biggest light successes in recent news has been in the unveiling of Heathrow’s new terminal two. Now home to over 23 airlines, the terminal could serve over 10 million passengers per year. The Light Lab were one of the lighting suppliers for this project, commissioned by Studio Fractal to manufacture and install bespoke edge lit IDL stairs for the main terminal. The glow enveloping each step is aesthetically pleasing, blending beautifully with the clean surroundings, while creating a clear and central walkway up to the second floor. 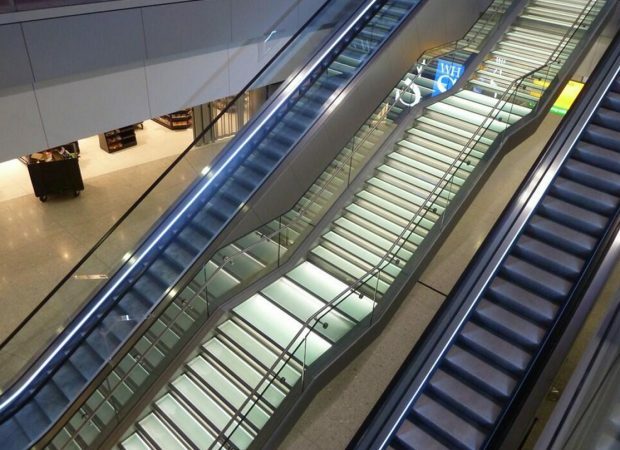 With many large airports housing 30 or more sets of stairs and miles of walkways, design and installation of such pleasant lighting on a large scale is certainly a huge task. 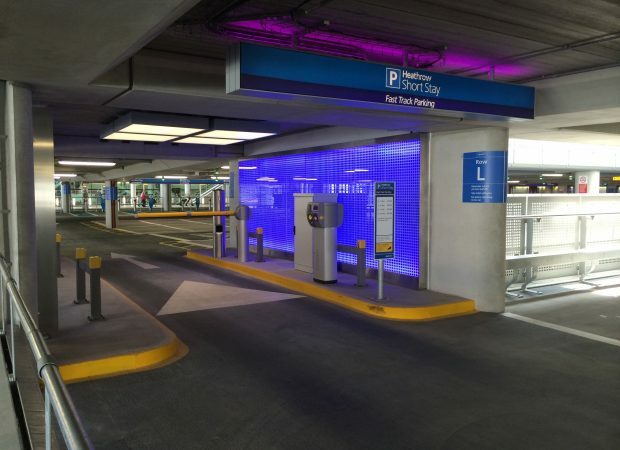 The Light Lab also contributed diffused and backpainted glass to the fast track parking area and a bespoke edge lit engraved plaque to commemorate the Queen’s official opening of the terminal. Another recent triumph was highlighted in April this year with the announcement of an advanced lighting system on one of Boundary Bay Airport’s runways in the Delta province. The Precision Approach Path Indicator (PAPI) system was reportedly priced at around $300,000, and included a new airfield lighting control system for the tower amongst other improvements. The system guides pilots onto the runway with a series of red and white LED lights, highlighting whether they are high or low on the glide path. This system is very popular in airports with frequent traffic, and the LED lamps boast a low power consumption without lacking in brightness. Over use of power is a key issue in every airport. Ranging from roughly 4km to 16km squared, an average airport can be lit for up to 24 hours a day, eating up a staggering amount of electricity. Heathrow has used sustainable design to increase natural light and used advanced controls to turn off lights when not in use. This has made a saving of about £400,000 in one year and 3.7GWh of energy from replacing fluorescent lighting with LED. Meanwhile, in March last year Berlin’s airport in Schonefeld was suffering from a technical glitch, resulting in 24-hour light that no one could switch off. The problem added to the disaster of the late running design project, which cost the airport billions of pounds and dramatically increased their carbon footprint. Finally, the sheer scale of an airport terminal can be the downfall of any lighting design. Spanning over 300,000 square metres, Heathrow’s terminal 5 was illuminated by power hungry down lights, 60% of which had blown since its opening in 2008. According to news website Exaro, managers admitted that the sky high lights were inaccessible to anyone except rope access technicians. The fleet of ‘abseilers’ were called in in their masses to painstakingly replace each bulb and install more eco-friendly LED lamps, which somewhat improved the damage of the disastrous design. 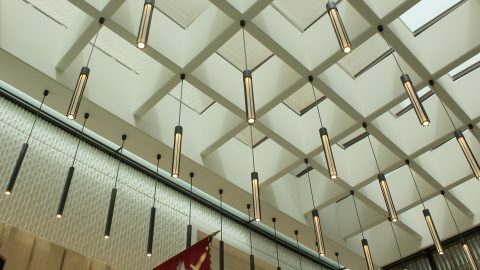 While there are still many hiccups in airport lighting design, new and sustainable innovations will see terminals light up in style for many years to come!